These are the Tools I use and Products I recommend because they're trusted (and the products are backed by third party (independent) research). I use these resources in my wellness journey. Maybe you'll find something here too! Please consider clicking my affiliate links so that I can earn a small commission on your preferred products below. This does not increase the price you pay. Matter of fact, many times you'll pay a lesser price because of my relationship to the products I recommend. I never met a better blender until I purchased a Vitamix. I’ve owned mine for 8 years and use it at least daily. I used to go through other brands rather often. The 7-year warranty that comes with buying new and direct from the manufacturer really helps me because I can be somewhat hard on kitchen tools and this gives me a peace of mind. You also have the option of paying for an extended warranty with the purchase of your Vitamix blender. With the Vitamix, I can make foods in a snap. Plus, now they have several new models – a space saver style and a blend and go. If you’re interested in purchasing a Vitamix from the manufacturer, you can earn free shipping ($25Us/$35CN) by clicking on the image below or at a later time, entering this code: 06-008064 before you check out. (Plus you can request interest-free installments.) Some of my favorite uses of the Vitamix is making my own pesto, grinding flax seeds to make meal, making 1-ingredient powdered sugar, using it as a food processor to make raw fudge, and none other than nutrient rich smoothies! We all can (and should) eat more fruits and vegetables. Dr. Bill Sears recommends that we eat 9 servings of fruits and vegetables daily. I personally recommend that people strive for 5. That is five different fruits and 5 different vegetables daily. This way you will get a variety. Most people cannot achieve either recommendation regularly. Dr. Sears recommends Juice Plus+ because it is backed by independent third-party clinical studies in reputable medical journals. If you want to understand why he chooses Juice Plus+ it is because it answers the following two questions in the 30+ published studies. More on funding of the published studies. 1) Does the product get into the blood stream? And 2) What does it do once it gets there? Gardening? Would you like to have a green thumb? Maybe you already do but don’t want to break your back digging, pulling, and prepping (and maintaining) your land to grow delicious fruits, vegetables, and herbs? Look no further than the Tower Garden! No soil required. Grown in food-grade UV plastic. Uses very little energy! Less trips to the grocery store for produce. It requires very little space so if you don’t have a backyard, you can still have a Tower Garden! All hand-picked, vine-ripened produce. Ask me how you can get started today! Maybe you want to own one and sell them, too? Both options are available. More accessories are available here. View: Time Lapse of the Tower Garden and Informative YouTube Video: What is a Tower Garden? 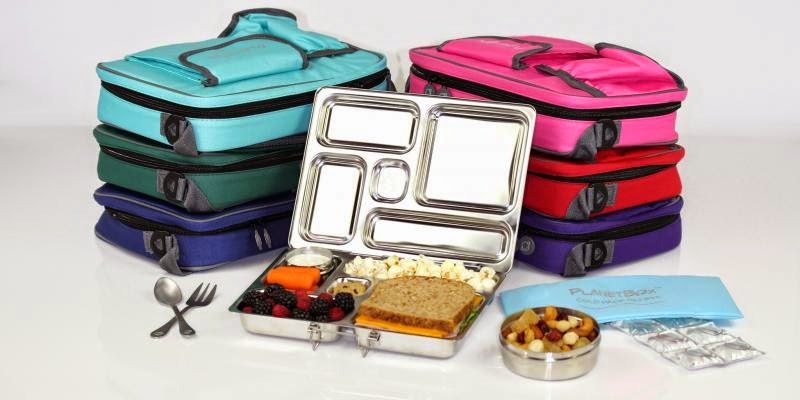 Grab a Planet Box (stainless steel reusable lunch box) for you and your family. Add lots of color, fruits and veggies, and good sources of protein! I like that these are safe, easy to clean, the bags are durable, and the compartments keep foods separated. The creativity on what to pack really takes flight! Extra tools for packing liquids are available as well as an ice pack and utensils. Your link to safer skincare! As a professional in the wellness industry, I have a responsibility to inform consumers about safety of products and but also support their decisions to align with companies that meet their needs and values. If you know me, I always ask, “What are the ingredients?” and I aim to empower consumers to make smarter, healthier choices primarily in their nutritive choices, but I have always had an interest in the safety and efficacy of personal care products too. I was introduced to DIYing when I was a blogger. I started to read ingredients on personal and home care products. I started to dig in. 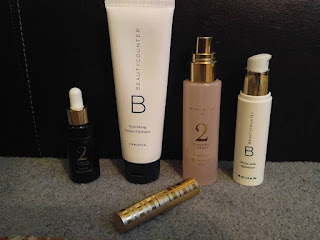 Through my relationships with other bloggers, I learned about Beautycounter. I loved their mission statement, the consultants, and most importantly, the quality of the products! If you are ready to dig a bit deeper, you can look up many personal care products on the cosmetics database www.ewg.org/skindeep, which is the EWG's Skin Deep Database that rates products and ingredients as LOW, MEDIUM and HIGH risk based on the chemicals the products contain. If a product is not on the EWG's list, you can compare the ingredients to Beautycounter's NEVER list. For SAFER and high-performing personal products, shop my Beautycounter online here. Since my son had enough hair to wash, we have chosen Original Sprout. He's now in elementary school and he still has a head full of tight curls. We really love the Miracle Detangler and Leave in Conditioner. These are two products that we buy on a regular basis. I have written two non-sponsored posts about these products. I think they are a perfect fit for people with hair that tangles easily, curly hair, ethnic hair, and mixed race hair. My son falls into most of these categories. I love that the ingredients are safe and free from hormone disruption. You can receive $10 off your first purchase when you place your order here. I will in turn receive a $10 credit on my account. I have been purchasing their products since 2008. The account is free to set up.